This Orland Park kitchen was in need of architectural interest, improved storage, variation in color from beige tones, and professional grade appliances. 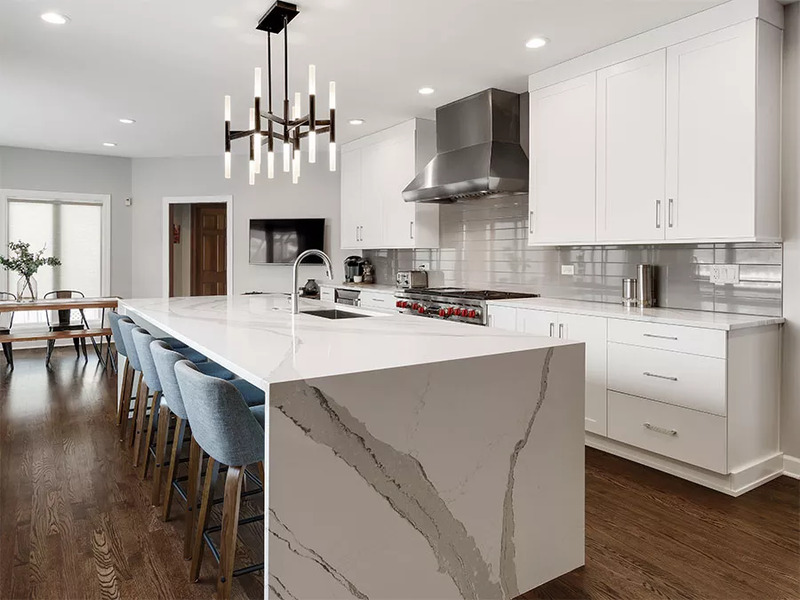 We were able to design interest in a standard “L” shaped kitchen by breaking up the wall cabinets with a deep / glass cabinet that comes down to the countertop and redesigning the refrigerator wall with built-in appliances and a dry bar with glass doors. Mixed finishes and an improved lighting plan brought new life to the space.